The Wizard of Oz at Anderson Branch Library | Read Aloud Lincoln | Read today. Succeed tomorrow. 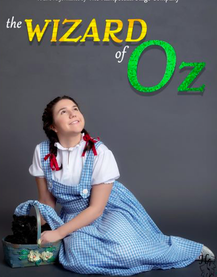 Join Dorothy in this classic adaptation of L. Frank Baum’s The Wonderful Wizard of Oz, as she embarks on a strange and enchanting adventure. A live performance by The Hampstead Stage Company.